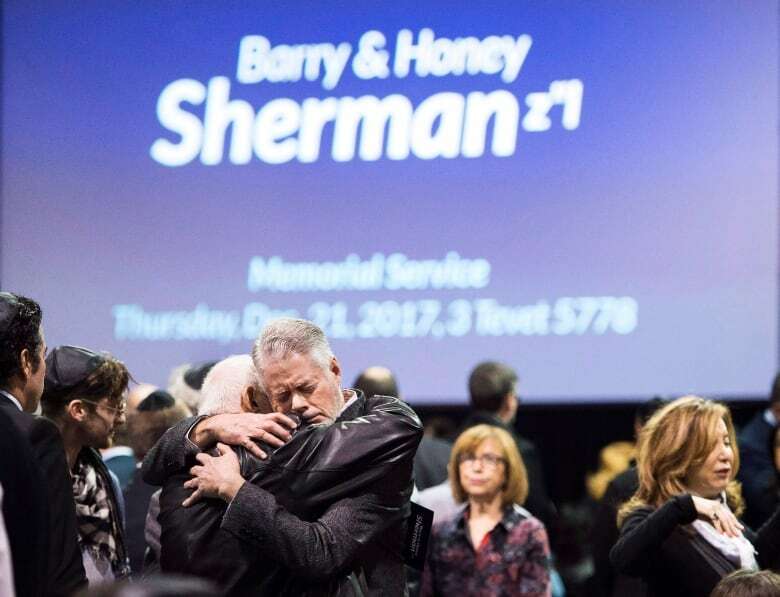 The family of Honey and Barry Sherman is offering a reward of up to $10 million for information that leads to the arrest and prosecution of suspects in the deaths of the billionaire couple, whose bodies were found in their mansion last December. The family's lawyer, Brian Greenspan, announced the reward at a news conference in Toronto Friday afternoon. "We're trying to light the fire. That's part of the reason we've gathered today," Greenspan told reporters. "To provide the new incentive for members of the public to come forward with information which they might have … but also to light the fire under the Toronto Police Service and to try to ensure that those investigative steps that have either not yet been completed, or not yet been taken, are completed, and to encourage a two-way street." A tip line has also been set up that will be monitored 24 hours, seven days a week. The number is 1-833-668-0001. 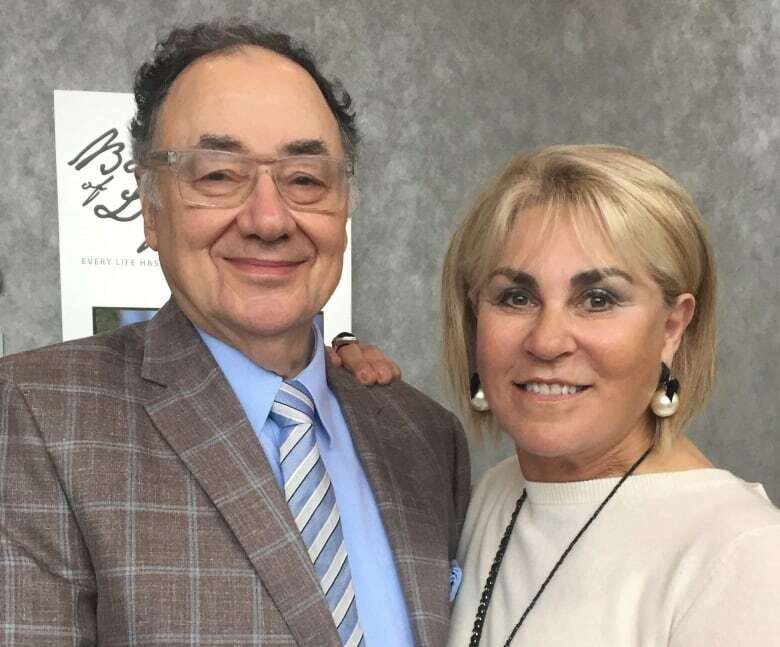 Barry Sherman, 75, was the founder of generic drug manufacturer Apotex. His wife Honey, 70, was a well-known philanthropist. Together, the couple donated tens of millions of dollars to charities. Their bodies were found in the basement pool area of their home on Dec. 15, 2017. No arrests have been made and police have not provided an update on the investigation since January. 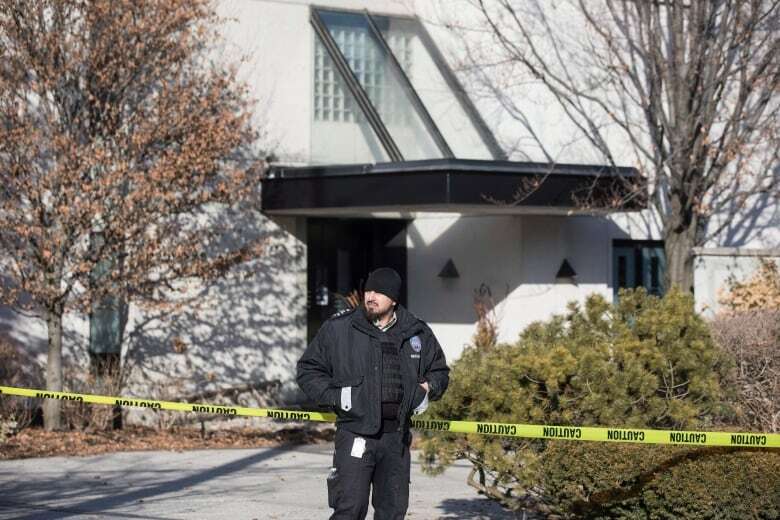 Police officially characterized the deaths as "suspicious," but initially said there was no sign of forced entry and they weren't looking for suspects. However, anonymous police sources were quoted early on as saying investigators were looking at the deaths as a case of murder-suicide. This "outraged" the family, Greenspan said Friday, and he was retained to organize a parallel investigation by a team of private investigators, largely made up of former Toronto police homicide detectives. Greenspan said the private investigation is not meant to undermine the work of police, but rather to advance "the common goal of finding and prosecuting the perpetrators." He would not divulge any specific details unearthed by the private investigation during the news conference, but Greenspan did have strong words for Toronto police, saying they are "required by law to maintain a certain professional standard," but "fell well below that standard." Specifically, Greenspan said police failed to take into account the fact that the couple's bodies were "staged" where they were found, by their indoor pool, and that police failed to vacuum the crime scene for evidence, such as hairs or fibres left behind by a perpetrator. He also said police failed to properly gather fingerprint evidence that might identify potential suspects. Greenspan offered some details about how the Shermans were found, noting that ligatures were wrapped around their necks and then around the pool railing, which forced them into an upright position. Barry's legs were outstretched, with one crossed over another. He was also still wearing his glasses, and the sleeves of his jacket were pulled behind him, which would have restricted the use of his arms. Greenspan also accused Toronto police of failing to thoroughly check the entry points into the home. "If this best practice had been followed, they would have located the point of entry into the home, which would have seriously undermined their misleading and irresponsible conclusion that there had been no forced entry," he said. Toronto police Chief Mark Saunders, responding to Greenspan at a late-afternoon news conference, defended his investigators, saying the probe was being conducted "to a very high level of professionalism and a high level of expertise." While he did not address many of Greenspan's specific allegations, Saunders said a lot of work was done from the beginning to protect the integrity of the investigation. While divisional officers first took on the probe, homicide investigators were brought in to oversee the work, as was a forensic pathologist. He also noted that more than 50 officers have worked on the case, more than 200 witnesses have been interviewed and officers have collected more than 2,000 hours of video surveillance from neighbours. "The investigation was not taken lightly and still is not taken lightly," he said. While rewards don't always help lead to breakthroughs in cases, he said, he welcomed the development, saying at the very least it will bring the investigation "back into the light." Asked whether Toronto police would participate in a separate expert panel Greenspan is convening to assess the information that comes through the tip line, Saunders said he would want to know more about its terms of reference and whether that would stand up to the scrutiny of a court proceeding. "If it meets that test, then definitely we will be involved," he said. The news conference came on the same day CBC published details of an interview with a Toronto real estate agent revealing new information about finding the couple's bodies. The agent was touring the Sherman mansion with wealthy Chinese clients when they came across what appeared to be two bodies in the basement pool area of the home. The agent said he and his clients were surprised at what they saw, and couldn't believe the bodies were actually real. "This is a joke, something left over from Halloween," recalled the agent. The agent, who was working for the prospective buyers and not the Shermans, has requested CBC News not identify him due to concerns for his safety. He said he learned a couple of days after touring the Sherman home that the bodies in the pool area were real. "It was scary," he recalled. His clients were upset, too, after finding out what they'd really seen. "They were angry," he recalled. The agent described them as being from mainland China and superstitious. They worried witnessing such a sight was a harbinger of bad things to come. On that cool winter day last December, the agent recalled arriving at the Sherman home on Old Colony Road — an affluent neighbourhood in north Toronto — with his clients, before their scheduled viewing appointment. The mansion was listed at $6.7 million. The agent said a person cleaning the home let them in and allowed them to wait inside. A short time later, an agent representing the Shermans arrived. They began touring the 12,000-square-foot mansion. After starting on the main floor, they walked upstairs to see more of the massive home. The last part of the tour involved the basement pool area. "My clients weren't really interested in the pool," recalled the agent. Looking through a large glass door they could see two bodies "on the steps leading to the pool" several metres away. "What's with these rich people ... who does this?" he recalled thinking. The agent and his clients did not enter the pool area to take a closer look. The agent says they thought they had stumbled across some kind of bizarre Halloween display or a joke. "Fake murders," is how he initially described it. Not long after they left the home, it's believed the agent representing the Shermans called 911 to report the find. Why did police wait to talk to witnesses? The real estate agent confirmed that it was "at least a week or two" after police first started investigating the homicides before they reached out to him and his clients. The agent says he was interviewed at a local police division and agreed to provide investigators with the shoes he was wearing when he was inside the Sherman home. CBC News asked Toronto police why investigators seemingly waited for up to two weeks before interviewing witnesses who were inside the mansion around the time the bodies were discovered. Toronto police spokesperson Meaghan Gray said the service cannot discuss details, because the investigation is ongoing. The agent said police contacted him again recently to come in for fingerprinting, but hasn't been told when or where that will happen. He declined to provide the names of the clients who were inside the home with him, but said police know who they are. He said they have since purchased another home in Toronto through a different agent.